Home Aircraft Maintenance Heading to Houston for the Super Bowl? Heading to Houston for the Super Bowl? The Atlanta Falcons and New England Patriots are not the only ones making plans for Super Bowl LI on February 5. 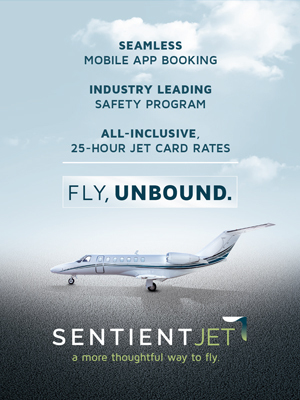 You and more than 1,200 business jet owners and users already have plans to join the teams led by Tom Brady and Matt Ryan, and more than 72,000 fans. You’ll arrive at one of the fourteen Houston area airports in time for the game and related events, as reported by Ed Vesely of Welsch Aviation. He’s the head of the Greater Houston Business Aviation Alliance, and it’s their business to help Houston’s aviation community prepare for the city’s third hosting of the NFL’s premier event. By game time, the number of arriving aircraft is expected to grow to more than 1,400 aircraft at the primary Houston airports, and perhaps another 500 at area reliever airfields. That’s about the same number that arrived in the Bay Area in 2016, according to data from ARGUS International’s TRAKPAQ. That anticipated volume is why the FAA has issued a Temporary Flight Restriction (TFR), requiring ramp reservations for arrivals and departures – including drop-offs – to and from all fourteen airports from Thursday, February 2, 2017 to Tuesday, February 7, 2017. 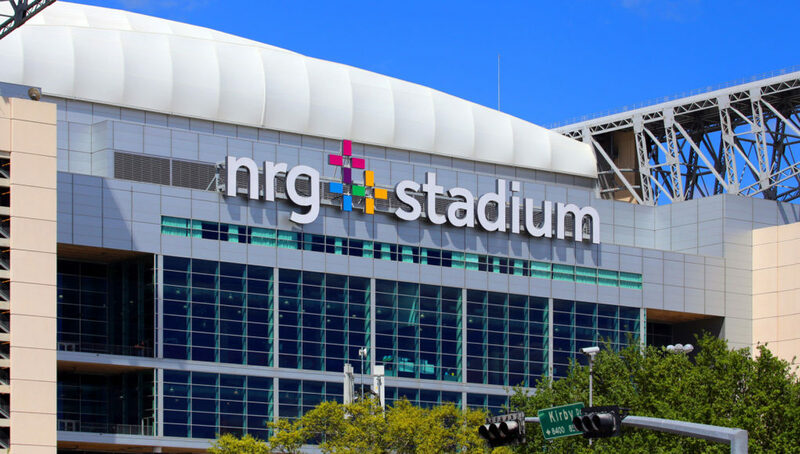 And that’s why business jet and engine manufacturers, FBOs, and other support organizations are making special preparations to support you and your flight crews during Super Bowl week in Houston. They all want to ensure that your flights to and from any Houston area airport are as smooth and trouble-free as possible – even if you experience a maintenance issue upon arrival. Because when the clock runs out Sunday night, the last thing you’ll want to hear is that your aircraft is AOG (Aircraft On Ground), unable to depart for maintenance reasons. Bombardier Business Aircraft will be on-site during the Super Bowl to provide support to ensure operators remain on time, ready to kick off when needed. Three dedicated on-site Field Service Representatives will be in Houston, as well as two mobile response units manned by two technicians each from February 3-6, 2017. These mobile units carry state-of-the-art diagnostics tools supporting Learjet, Challenger, and Global aircraft, as well as a wide array of equipment. The Customer Response aircraft will be on standby in Dupage, IL to make quick shipments from our main parts hub in the Chicago area. The CRT aircraft will be dedicated to support Bombardier operators at the Super Bowl during the weekend. Should additional support be required, Sterling Charter will have a second aircraft on standby as well. Customer Response Centre’s AOG Parts Services will be available 24/7 and ramping up their resources. Parts are available out of the BAS Dallas facility, which is a three-to-four hour drive to Houston. Constant Aviation will be on-site in Houston providing Super Bowl LI fans full service AOG Support. Dedicated technicians will provide maintenance, avionics, and structure services at all Houston airports. Techs can be dispatched 24/7 by calling (844) 261-7119. With more than 2,838 years of combined experience, Constant Aviation’s AOG service technicians have supported more than 5,700 events, at more than 464 airports in 2016, supporting turboprops and business jets alike. Currently, Constant’s AOG mobile units span nineteen cities nationwide, offering immediate response 24/7/365. Visit the Constant Aviation website for more information. Dassault Falcon will offer a range of on-ground services to support Falcon owners to include frontline personnel and a GoTeam of experienced AOG Technicians with the parts, tools and specialized equipment to handle a variety of maintenance needs. Offsite resources will be available through the company’s network of Authorized Service Centers; a $25 million spare parts inventory conveniently located in Little Rock, AR and Louisville, KY; and our large-cabin, long range Falcon 900 aircraft dedicated exclusively to AOG support. Embraer Executive Jets will position its Customer Support team in Houston, with a Mobile Rescue Unit from its Mesa Service Center, in coordination with Embraer Authorized Service Centers in Houston: StandardAero at George Bush International Airport, for Legacy aircraft; and MillionAir, based at Hobby Airport, for Phenom aircraft. Embraer’s Spare Parts Warehouse, in Memphis, is ready to supply parts on a next-flight-out basis. Customers are welcome to advise our 24/7 Customer Contact Center of their flight plans for that weekend’s game and count on our dedicated support. Gama Aviation, the global aviation services company, has increased its AOG peak period support in preparation for the large wave of business jets and football fans expected to arrive in the Houston area for Super Bowl LI. GE Aviation is offering additional technical support for customers flying GE-powered aircraft to Super Bowl LI. StandardAero, GE Aviation’s Authorized Service Center and dedicated field service representatives in Houston, Texas, will be available to support travelers participating in Super Bowl celebrations. 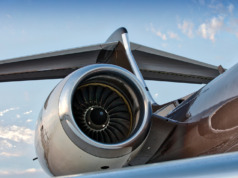 Specifically, StandardAero Houston has expanded Challenger 601/604/605 offerings with Turbo Fan Field Service support for all CF34 events while your aircraft’s airframe or avionics is being serviced, reducing aircraft downtime and the need for interim rentals. GE Aviation’s Authorized Service Centers (ASCs) offer comprehensive line maintenance, removals and re-installations of engines and line-replaceable units (LRUs) and engine spares for CF34-3 engines. GE Aviation provides ASCs with comprehensive material support and training. Founded in 1911, StandardAero is one of the world’s largest independent providers of services including engine and airframe maintenance, repair and overhaul, engine component repair, engineering services, interior completions and paint applications. StandardAero serves a diverse array of customers in business and general aviation, airline, military, helicopter, VIP completion markets, and more. Gulfstream will have a sizeable team in place to support Gulfstream operators during the week of the Super Bowl (Jan. 31 to Feb. 6) in Houston. The tractor-trailer that is part of Gulfstream’s Field and Airborne Support Team (FAST) will be positioned at William P. Hobby Airport, a business aviation hub. Known as FAST1, the specially equipped 74-foot vehicle will bring four technicians from company headquarters in Savannah, Georgia. The tractor-trailer has enough parts and tools to help multiple customers simultaneously, and features a built-in generator, an air compressor, a satellite dish and Wi-Fi service. The Savannah-based team will complement the Gulfstream resources already based in the Houston area. This includes a custom-outfitted FAST truck that includes technical data access, a consolidated toolbox, parts, a generator, and a ground power unit. It will be positioned at Sugar Land Regional Airport in Sugar Land, Texas. Gulfstream will also have an equipped van located at Ellington Airport in Houston. Two technicians will be assigned to each vehicle/site. Also working the event will be Gulfstream’s Houston-area field service representatives (FSRs), Eddie Hernandez and Louie Casias. Dallas/Fort Worth-based FSRs Devon Lohr and Lance Pate are also available. Honeywell has both Avionics and Mechanical Technical Support Engineers (TSE) standing by in the event they are needed to support any AOG service requirements for the time leading up to and just after Super Bowl LI. Additionally, Honeywell has reviewed the most commonly used parts and made preparations to ensure that stock is reserved in anticipation of any possible needs. With seven destination airports managing Super Bowl traffic, Honeywell recommends that owners and operators contact our technical support team 24 hours/7 days through the contact information below. And, if needed, our Aerospace Remote Connect tool can securely diagnose an issue and determine if dispatching one of the local TSEs for on-site support is needed. Jet Aviation will support the increased traffic in Houston by opening up all three of its ramps and the taxi ways in front of runways SER 1 and 2 at Hobby Airport, to allow more space for aircraft parking. Additional staff from our other award winning FBOs will be provided, increasing staff counts by a third. Gulfstream and Standard Aero road teams will be on site for MRO needs. Crews of aircraft parked with us also will have access to our hospitality lounge during the game. Fractional share company NetJets will transport hundreds of its share owners and Marquis Card holders to and from Houston for Super Bowl LI. The company expects to schedule more than 300 flights into and out of the region, and that requires special accommodations. 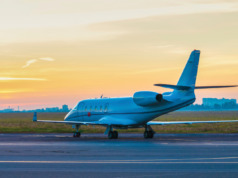 Many owners and their guests will arrive and depart from an exclusive NetJets reception facility at Ellington Airport (KEFD), a public airport located southeast of downtown Houston. Temporary units are set up at the Signature FBO to create a private hospitality lounge, equipped with a bar, catering, and televisions. More than 50 NetJets operations coordinators will be on hand to ensure that everything from IT, to scheduling, to flight operations, to ground transportation is a seamless experience. Owners, who may have experienced long delays when trying to leave a previous Super Bowl host city, can now go from game to ground transportation to their flight with ease. NetJets is creating an “airport within an airport,” offering uncompromising safety and service for its owners attending Super Bowl LI. Each and every year the Super Bowl draws an unprecedented amount of business aviation traffic and Super Bowl LI in Houston will be no different, with more than 1,400 aircraft anticipated between Thursday and Sunday. Rolls-Royce would like to assure our customers that we will be ready to support you during this event should an issue arise. Rolls-Royce Customer Manager, John Marsh, will be in the Houston area and your focal point for engine related issues. Assisting John will be members of our On-Wing Care maintenance organization. 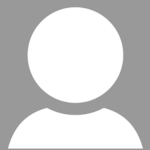 All requests for their assistance should be coordinated via John. Please contact John using the information below. Priester Aviation will be co-hosting a hospitality welcome reception for the 2017 Super Bowl with Signature Flight Support at their Houston Hobby Airport FBO (KHOU). Guests and flight crews are welcome to enjoy food and refreshments during their stay at the FBO, and catch the game in the Executive and Crew Lounges. The Textron Aviation 1Call support team will be standing by to assist customers attending the Super Bowl. 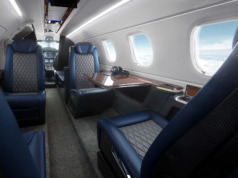 Three of Textron Aviation’s more than 60 Mobile Service Units (MSUs) will be on-site in the Houston area to support the full line of Cessna Citation, Beechcraft King Air, and Hawker turbine business jet and turboprop aircraft attending the event. These MSUs are equipped to perform limited inspections, engine, tire and brake service, and more. For more information about Super Bowl LI events please visit the Super Bowl LI Host Committee website.